Packaging is nothing but a plain carton box, right? It’s the product that really matters, after all. If that’s what you are thinking as a business owner, you might be setting yourself up to fail without even realizing it. Lose your products on the way to your customer’s porch. If the parcel is poorly wrapped, it may come open and even split apart. Crack, smash, or scuff them during transportation. Your package should be robust and secure to protect your goods through any mishaps. Deliver rotten or withered stuff if you sell food or plants, for example. Spend much money on refunds if a buyer decides to return the racked item. Be ultimately forgotten, if you do not use your package as a marketing tool. To help you avoid these risks we’ve partnered with a leading US manufacturer of shipping supplies. Now, apart from offering an eCommerce software solution, we are going to help you produce the perfect packaging for your products — at a discounted price and with free shipping. Read on to learn the details. Or hit the button below to check X-Cart supplies store right now. Why Packing Your Products With X-Cart Is More Efficient Than Using Other Third Party Services? They buy from a manufacturer and then “re-sell” the supplies to the end user. It makes the process a way more complicated and costly. Plus, you have to wait longer. When you buy from X-Cart Supplies, you are “skipping the middleman,” and can typically save 30% on supplies. You can also enjoy fast same-day free shipping and every day low prices. Since our supplies are made in the USA, you can count on the quality to be top notch vs. other imported brands that are of low quality. Let’s look into each point one by one to understand why packing your items with X-Cart is worth your attention. Skip the middleman to keep more money in the pocket. Such giant retailers as Amazon, Netflix, and Warby Parker did it. And the same will work for you. With X-Cart Supplies, you buy directly from the manufacturer and, thus, save a considerable amount of time and money. 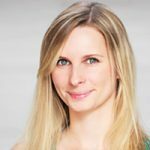 The selling process comes to be as simple as a few clicks to have anything you could ever want to be packed and delivered to your customers’ door. Our shipping center is located in California. That’s why we offer expedited shipping for those who live in one of these three states — California, Nevada, or Oregon. Your order will be there at your office’s porch in just a couple of hours or even faster. We promise. You’ll be able to wow your customers with zero wait times. Those whose business is based in the other states of America, like Arizona, Utah, Colorado, or Washington, will also enjoy speedy service. Delivering your packaging supplies will take a bit longer, though. But, anyway, your order will come to your place within two days. Note: Orders shipped to Alaska, Puerto Rico, and Hawaii will be shipped by USPS parcel select mail service. This will cost you 35% of the order total. And, sorry, we do not ship our products outside the US. The delivery is totally free for you. Yes. Free like a cup of tea at a beauty salon. Or like a pair of slippers in a hotel. Here you pay only for the exact purchase that allows you to save an extra penny for yourself. No commissions. No hidden fees. No worries. The world is full of prejudice against the quality of the products, manufactured in Asia and other non-American countries. There are at least a couple of reasons for that. They’ve just heard that “Made in China” means inferior quality. And they take it for granted. Stereotypes aside. Our package has nothing to do with China or any other country. Every item was carefully manufactured in the United States of America, which means the decent quality. Our rule is quite simple. The more items you order, the less money you have to pay on checkout. Designed right, your package will differentiate your brand from others and help potential customers easily recognize you. With fully-customized printing on your mailers, available with X-Cart supplies store, you’ll be able to give your customers something to remember when their next order arrives. That’s not a problem. We’ll guide you through the entire process to ensure maximum satisfaction. Most of our products are biodegradable and recyclable. Packing your products with X-Cart Supplies, not only you show your love for the environment, but also improve brand image. When your customers see that you use sustainable resources, they feel better about spending money with you. 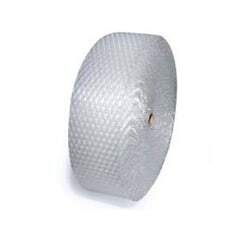 There is a wide variety of products in the X-Cart supplies store. 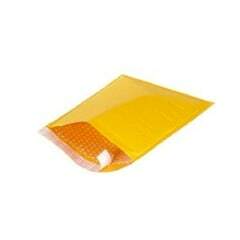 The most popular one is Bubble Mailers, which allows sending small and fragile items. Bubble Rolls will work for this purpose as well. However, they might be handier for large or awkwardly-shaped items. 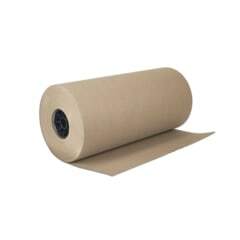 A great example of eco-friendly packaging is Kraft Paper Rolls. They are suitable both for wrapping your products and filling the void. 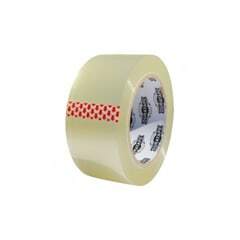 Carton Sealing Tape provides quality carton sealing for a variety of applications. A must-have for every business owner! 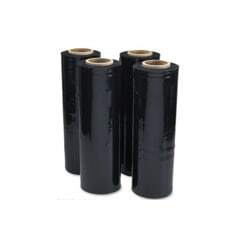 Use Stretch Film to keep your items clean and secure while stored or shipped. The thickness rating is 80G, which provides strength, stretchability, and cling.